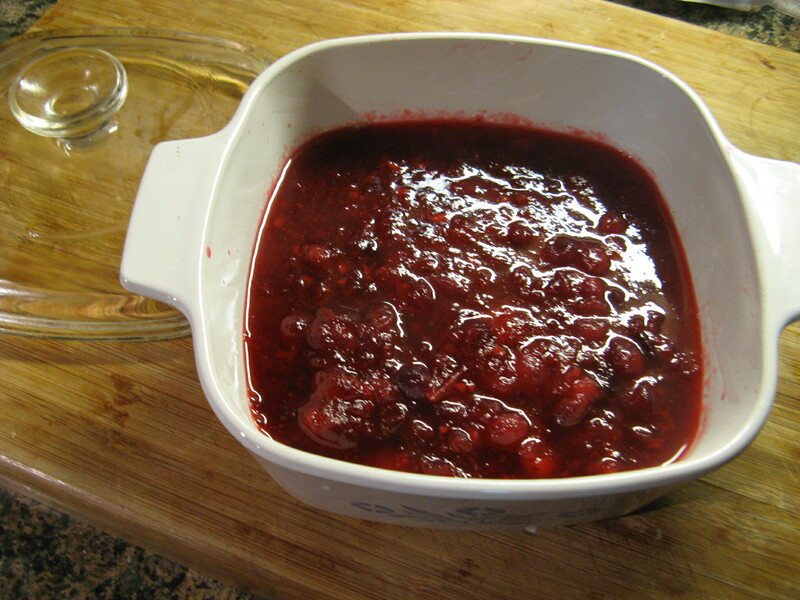 And in my opinion Thanksgiving is just not complete without some Cranberry Sauce. 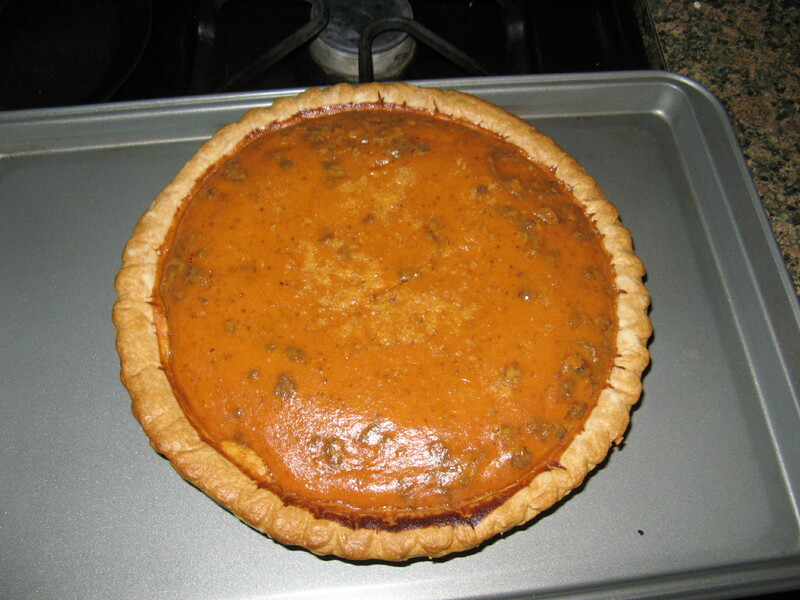 For dessert I decided to make a Pumpkin Pecan Pie. 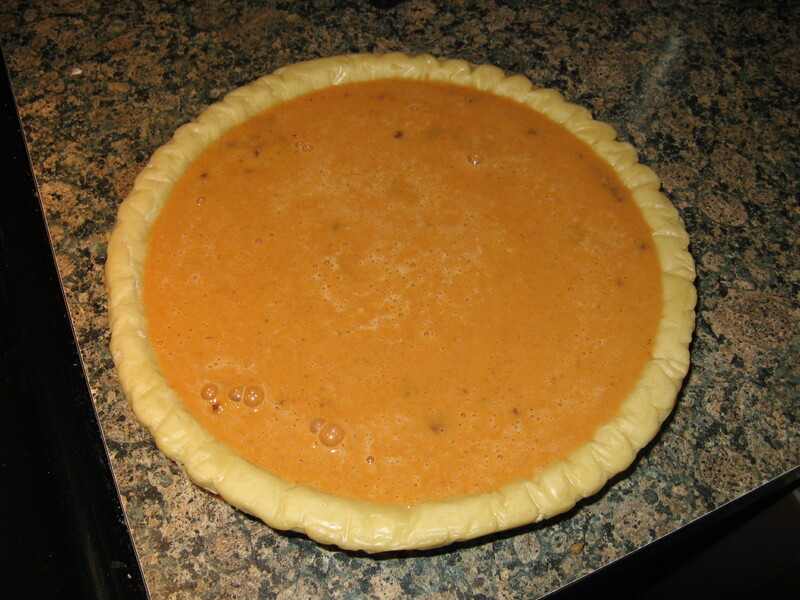 I usually just make a plain old Pumpkin Pie but after seeing a recipe that included pecans I was intrigued to try it. In all honesty I didn’t particularly care for that recipe so originally I decided to add pecans to the usual recipe I follow for Pumpkin Pie, but, I decided this year to try out Libby’s Famous Pumpkin Pie recipe. They are known for their packed pumpkin in cans so I figured they should know a thing or two about turning that into a delicious pie. To start I toasted about 1/2 cup of chopped pecans on a lightly greased baking sheet in a 350 degrees preheated oven for five minutes. 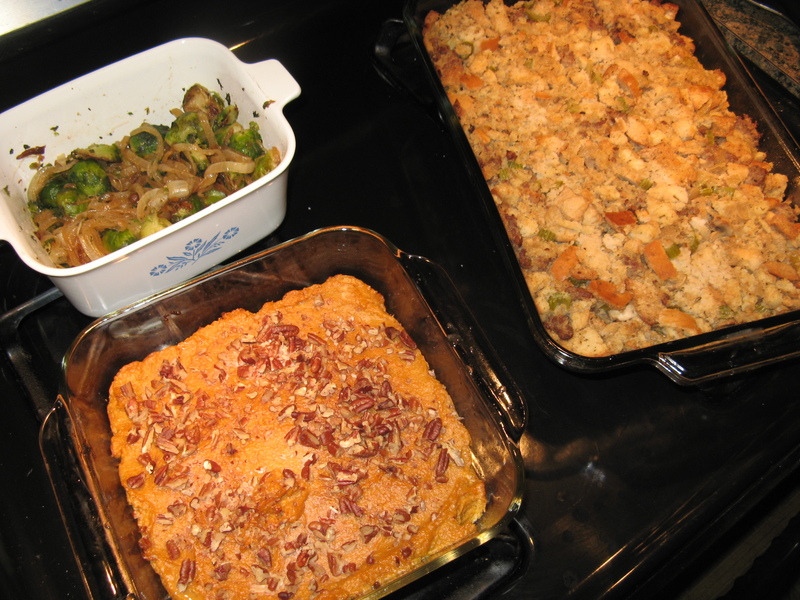 After they cooled I scattered them on the bottom of a deep-dish pie shell. I took a major short-cut and opted to buy a frozen pie crust. 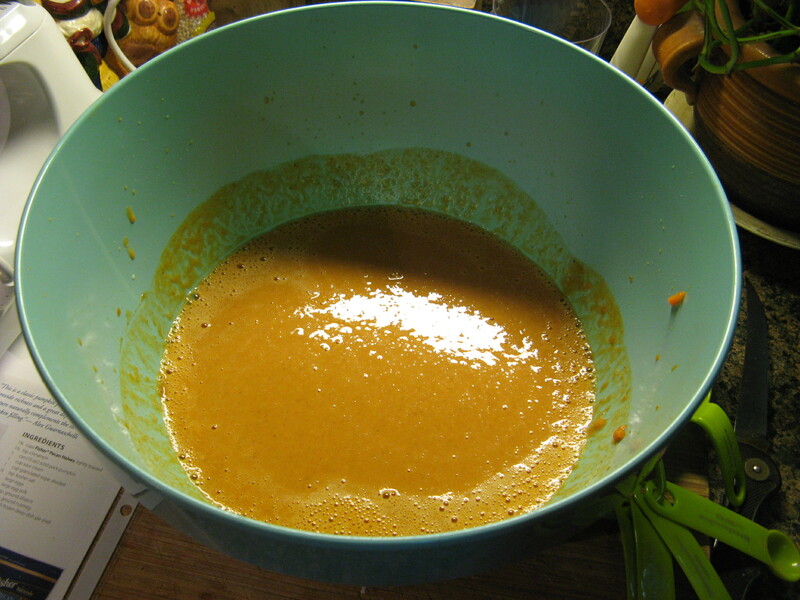 Next, I made the pumpkin filling by beating 2 large eggs in a bowl and then adding in the pumpkin and a mixture of sugar, cinnamon, salt, ginger and cloves. And then I gradually stirred in a can of evaporated milk. 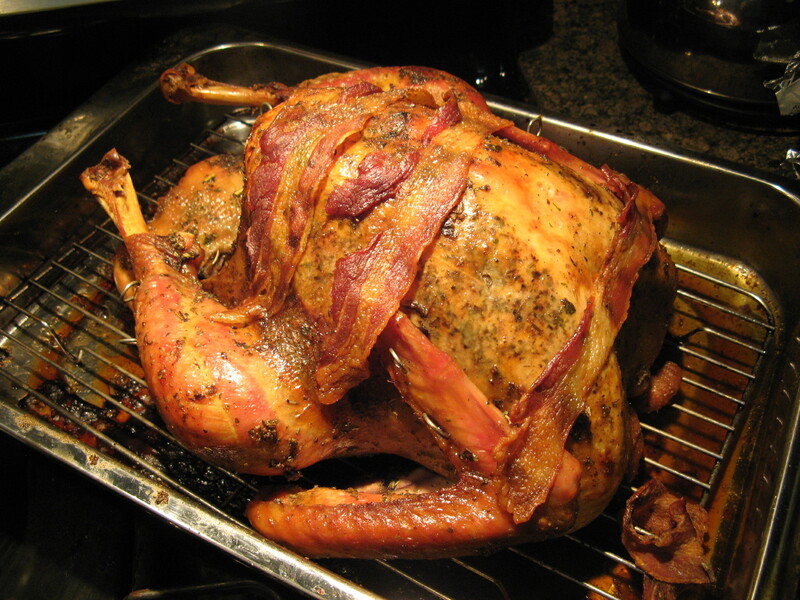 And finally I poured that into the pecan covered pie crust and baked it for fifteen minutes in a 425 degrees preheated oven and then dropped the temperature to 350 degrees and baked it for another forty-five minutes. 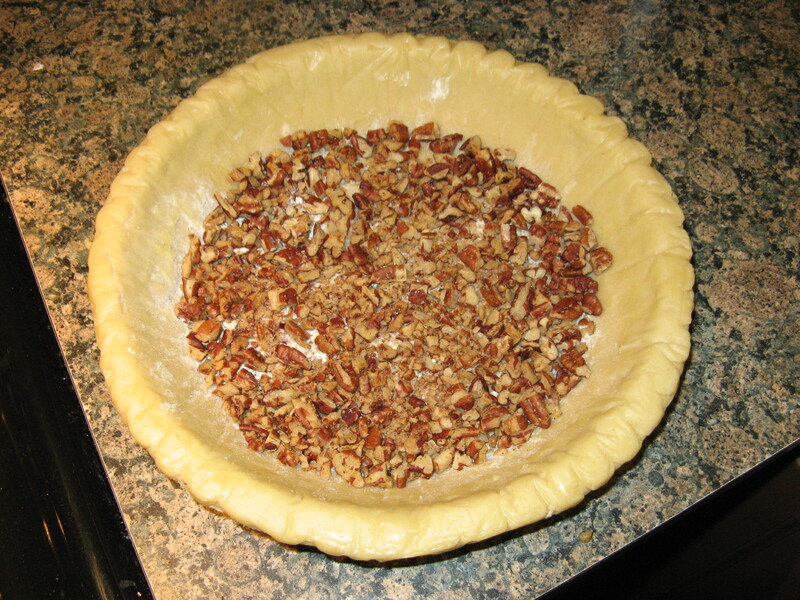 I loved the texture the pecans added to the pie as well as the nutty flavor. And while many were out scoring Black Friday deals I opted to stay in and work on some Christmas crafts… Stay tuned!